These seascapes represent a time of waiting and solitude. They portray the sea as an empty space. In each image water and sky are viewed in equal measure with intermittent glimpses of land which comes in and out of the frame, echoing the rhythmic cycle of the sea. The simple composition and repetition of the scene marks the passing of time. Mist creeps through the trees. Birds scatter in flight. Solitary and fragile, a birds body rests in an empty stairwell. These quiet moments are captured to create a visual dialogue on transformative spaces - images that look to the natural world and the intersections of earth and air to reflect moments of transition. These liminal spaces found in the physical world allude to internal states of uncertainty and disorientation where the familiar has fallen away and a new state of being is about to unfold. 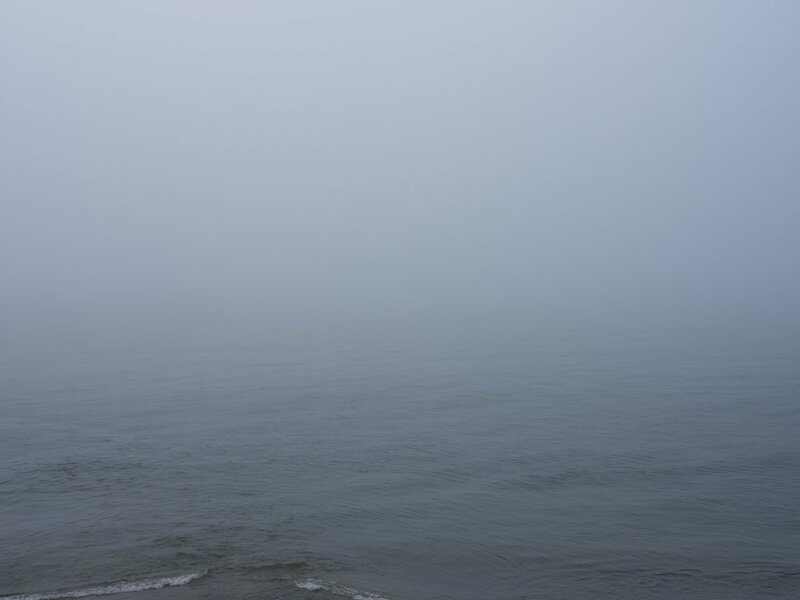 Taken over the course of a single day, this series captures a coastal park shrouded in a blanket of fog.